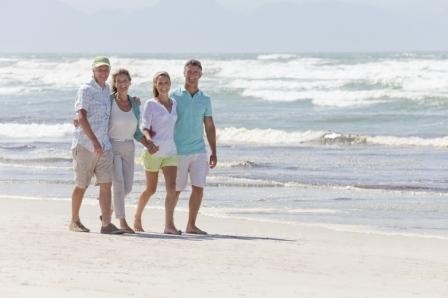 Whether your ideal home includes world-class amenities, arguably the best climate on the planet, lots of sunshine or a friendly and welcoming community, you will almost definitely find what you are looking for at the Grand Baymen. Although there are hundreds and even thousands of reasons to call the Grand Baymen home, this top 10 list summarizes why residents love to live in this wonderful and tropical community. First, it is important to understand and appreciate the incredible climate that Ambergris Caye has to offer. Just off the mainland coast of Belize, Grand Baymen boasts warm temperatures, letting residents say goodbye to harsh winters and snow storms for good. Whether you want to watch the sunset each evening over the water or you have grandchildren who want to try surfing, having the beach just steps from your home on Ambergris Caye is a definite perk. Plus, the beaches near Grand Baymen are some of the best in Latin America. Buying your dream home for vacations, family living or retirement should not burst your budget altogether. Thankfully, there are a variety of affordable options to choose from at the Grand Baymen as well as a hospitable property market in the country as a whole. Residents of Grand Baymen will love that they are so close to San Pedro. As the only true town on the island of Ambergris Caye, San Pedro is the hub for dining, dancing, drinking, shopping and more. Residents at Grand Baymen are a fantastic blend of people. Hailing from around the world, they are quick to welcome new residents, making everyone feel included no matter where they happen to come from. Along with affordable real estate, residents at the Grand Baymen enjoy an overall inexpensive cost of living. Everything from dining out to festivals will often be a lot cheaper than it is back home. At the Grand Baymen, some of the most popular amenities include the fantastic fitness facilities. At the San Pedro Fitness Club, for example, you can go swimming in the pool, play a game on the tennis courts or take an exercise class with friends and neighbors. Although many residents find that the Grand Baymen community offers plenty in the way of fun and comfort, there are also ample opportunities for exploring the local culture. Check out a local concert, dig into the regional cuisine or explore the ancient Mayan ruins. Few people have the chance to enjoy resort-style amenities at their home, but that is entirely possible at the Grand Baymen. Just some of the amenities you'll have to choose from include two beachfront restaurants, a fitness center, pools, a marina and a pier. Thanks to the warm weather, staying active is possible year round in Belize. On Ambergris Caye, you won't have any trouble finding something to do, whether that is fishing, walking, cycling or swimming right in the refreshing waters of the ocean. Clearly, Grand Baymen is an amazing place to live. Residents of all ages appreciate the perfect location, the amazing climate and the endless amenities available on the extensive property on Ambergris Caye, Belize. Learn more about living in Belize!